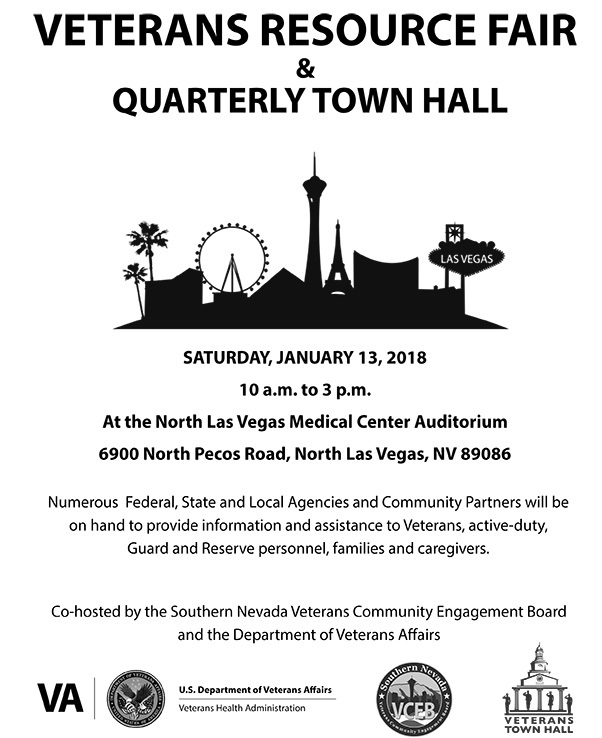 The Southern Nevada Veterans Community Engagement Board, VA Southern Nevada Healthcare System, and VA Reno Regional Benefits Office will co-host a Veterans Resource Fair and quarterly Veterans town hall meeting 10 a.m.-3 p.m., Jan. 13. The Town Hall segment will run 11 a.m.-noon. The fair and town hall will be at the VA Southern Nevada Healthcare System Medical Center, 6900 N. Pecos Road in North Las Vegas. The Veterans Resource Fair will include approximately 50 community and VA organizations providing veterans, their families and caregivers with information on a variety of veterans-related topics and resources. Interactive workshops on Caregiver Support, Financial Management, Veterans Benefits, and Transition Planning and Management for Post 9/11 veterans will also be part of the event. Special accommodations are being made to have representatives from benefits, billing, enrollment and eligibility, non-VA care, and patient advocacy on hand the entire day to assist veterans’ with their individual concerns and needs. Representatives from numerous other VA services will also be present during this time. The quarterly town hall will include updates from local VA veterans health care and benefits leaders on national and local activities and initiatives, followed by a Q&A session where a moderator will ask leaders pre-submitted questions or questions of general interest submitted on a comment card prior to or during the town hall. 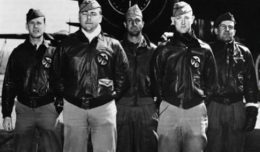 Veterans can submit questions in advance to vhalaspao@va.gov. Questions of a personal nature or those unable to be addressed during the town hall will be sent to the appropriate representative for a direct response back to the submitter. The meeting is open to the public. As a courtesy to those veterans that do not want to be photographed, a section has been set aside in the back of the auditorium.